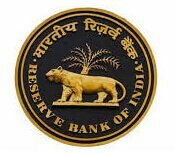 The Reserve Bank of India (RBI) has released the mark sheet and cut-off marks for the Specialist Officer (Grade B) 2019 on its official website. Candidates who appeared for the interview round are required to visit the authorised web portal and use the log-in credentials to access their mark sheets. The mark sheet and cut-off were scheduled to release after the completion of the selection process and final result announcement. Go to the official website of the Reserve Bank of India. Hover the mouse over the ‘Current Vacancies’ tab. Click on the ‘Results’ option in the drop-down. Now click on the ‘Marks sheet and cut off marks for the recruitment of Specialists in Grade B - 2018’ link. Click on the post you have applied for. Enter your receipt number and date of birth. Click on the ‘Find’ button. There you go! The mark sheet will be displayed right on the screen. Check the details and click on the ‘Download’ button. Marks sheets and cut-offs for all posts under RBI SO Grade B Recruitment 2018 - Download Here. The result of RBI SO 2018 written examination was released on 6th February 2019 and the final result for the same was announced on 28th February 2019. As per the official notice released earlier, “Mark list & category wise cut-off for the above examination will be displayed on the website after 15 working days from the declaration of final results.” The same has been released on 25th March 2019. You can check out the banking section on our portal for more information about banking exams.